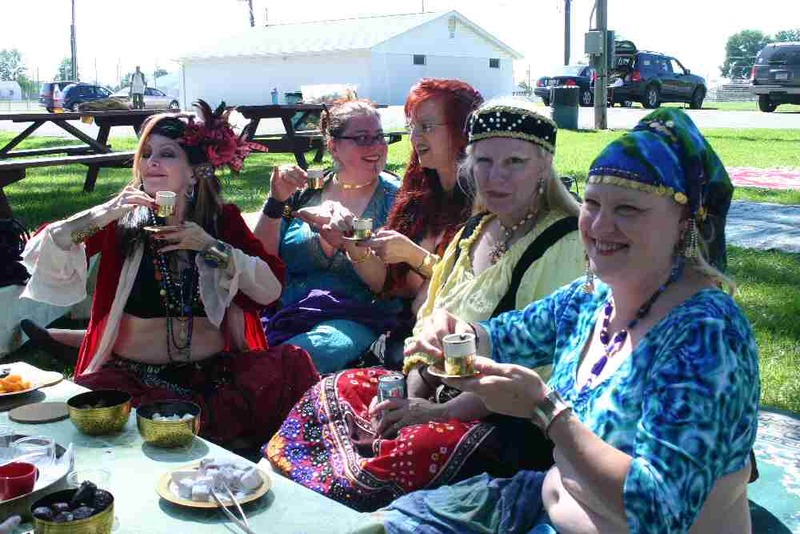 "We know that you have a wide selection of Celtistani bardic coffee houses, and to show our appreciation for your custom, despite uncertain economic times we have held firm on our prices. 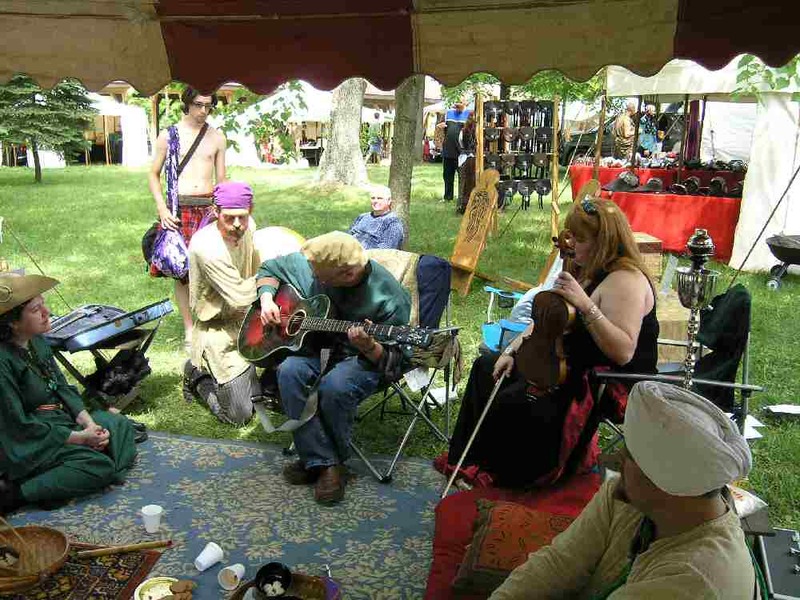 The cost of a delicious cup of Middle Eastern coffee, tea, jalabs, and sweets will continue to be a song, a tale, a tune, or a dance." 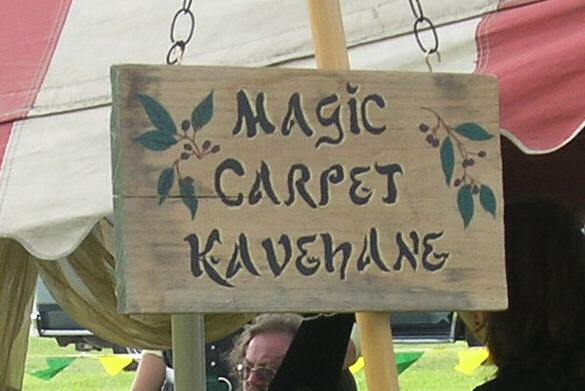 The Magic Carpet Kavehane is a bardic coffee house which travels to events around the northern Oaken region. 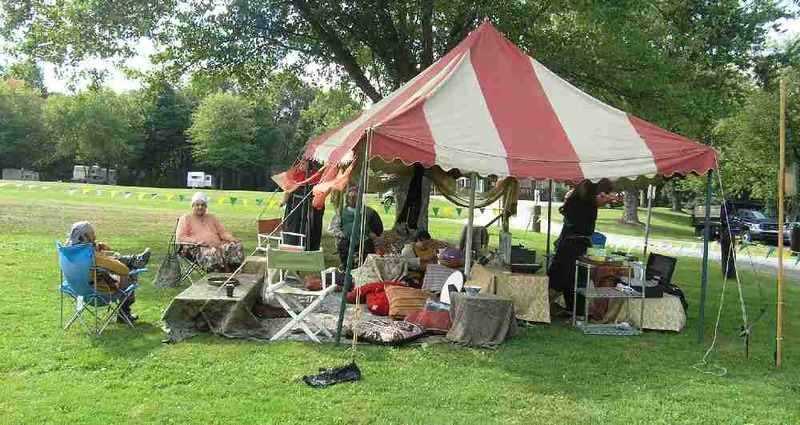 Jalabba-the Hut, the Magic Carpet's summer spin-off, specializes in cool summer drinks (jalab, sekanjabin, etc.) Amazingly, the price structure is identical to that of the kavehane! 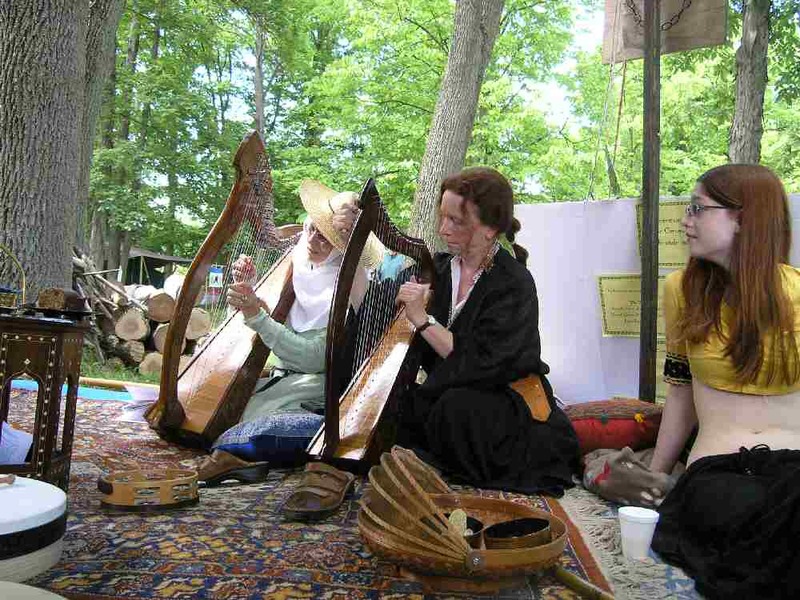 To bring the Kavehane or the Hut to your event, contact Barista Vente Juliane "Lady J" Bechaumpe or the Kulübe Efendi , Llywelyn "Crazy Llyw" Glyndwr. 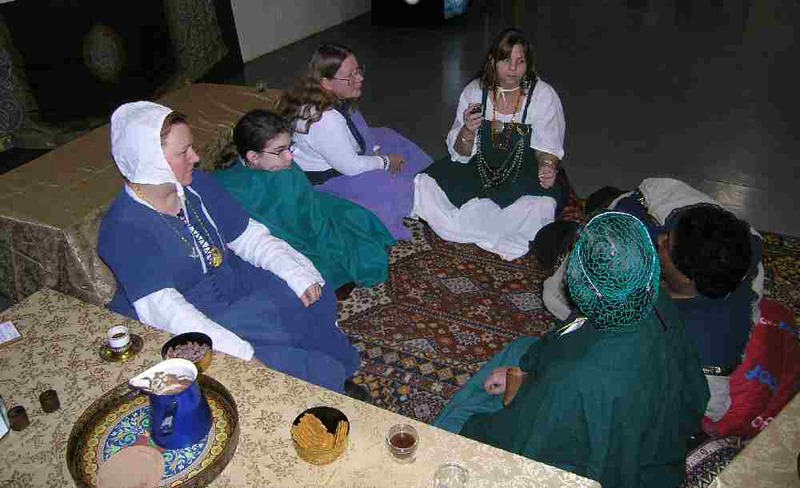 To date, the Kavehane/Jalabba has landed at over two dozen events, large and small, across northern Oaken (and beyond).